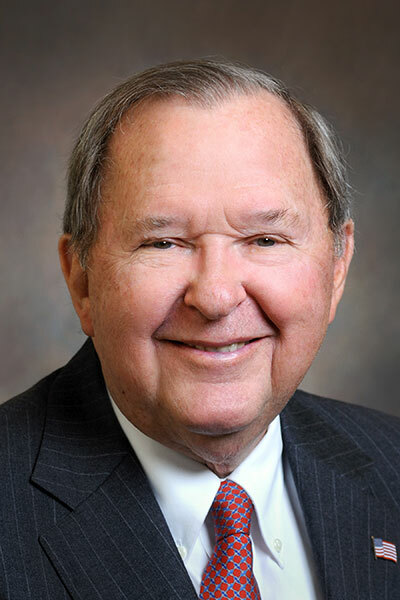 Carol Martin "Bill" Gatton ’54 is the owner of nine automobile dealerships in Tennessee, Alabama, and Texas and is engaged in various real estate projects in Kentucky, Tennessee, and Texas. He holds a bachelor's degree in business from the University of Kentucky and a master's degree from the University of Pennsylvania. He is the former Chairman of the Board of Directors of Area Bancshares. During his tenure, it was the largest bank holding company headquartered in Kentucky. He is a former director on the boards of all seventeen subsidiary banks located throughout the Commonwealth. Mr. Gatton is the recipient of numerous awards, and is a member of the Gatton College Alumni Hall of Fame and the University of Kentucky Hall of Distinguished Alumni. He has been associated with numerous boards and organizations, including the Bristol Chamber of Commerce, the Board of Directors of the Bristol Tennessee Industrial Development Board, the Board of Directors of the Bristol Regional Medical Center, the National Automobile Dealers Association, and the Tennessee Automobile Association. He is the founder of the Bill Gatton Foundation, which has contributed substantial sums to support various charitable and educational organizations. Mr. Gatton was born and raised on a farm near Bremen, Kentucky in Muhlenberg County. He attended Sacramento High School and graduated in 1950, the valedictorian of his graduating class. He enrolled at the University of Kentucky after high school, majoring in business administration, and graduated from the College of Commerce in 1954. In 1995, he made a gift to the College of Business and Economics which was the largest gift to the University of Kentucky in its history. Later, in his honor, the Board of Trustees named the college "The Carol Martin Gatton College of Business and Economics."